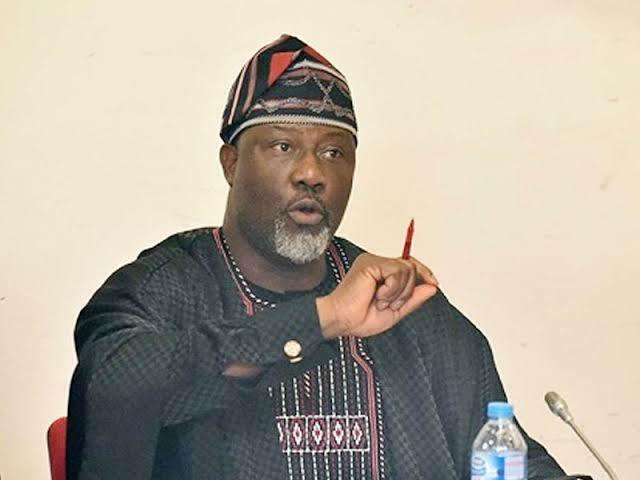 The Senator representing Kogi West Senatorial district of Kogi State, Senator Dino Melaye has said that 2019 is the magical year all Kogites are expected to rise up and say no to despotism. Our Kogi State Correspondent reports that Dino made this known Sunday, November 4 in his declaration titled: "The Senator Dino Melaye Declaration Series II". According to him, "It is only you and me that can save this generation" stressing that 2019 is the magical year all Kogites are expected to rise up and say NO to despotism. His words, "It is only you and me that can save this generation from impeding political intimidation. The promise in the first series of my declaration to make a personal sacrifice for the success of our struggle for freedom remains sacrosanct. Our experimental democracy is being put on trial by usurpers. All lovers of democratic decency and all lovers of truth and progress, are hereby called upon to imbibe the philosophy of “No Retreat no Surrender” for the emancipation of our people, come, 2019". Senator Melaye noted that he do not subscribe to violence as a means of expressing his disgust against the rotten system foisted on the people. He therefore called on all patriots and all right thinking citizens of Kogi West extraction, to think before they leap in the coming 2019 generation elections stressing that history has made Kogi West the pace-setter by virtue of their educational background. He assured that his second coming, if given the mandate, is to serve as the harbinger of good tidings to the people as he pledge to serve as a catalyst for the rapid socio-economic transformation of his constituency and by extension, Kogi State. "I am determined to be remembered for good, by leaving a legacy of monumental development in every nook and cranny of the West” he added. He stressed that he will at all time collaborate with his colleagues in the National Assembly irrespective of party affiliation to bring dividends of democracy to the door step of the common man.